Ex-prisoner claims that if you have cash, you can live the good life behind bars. For most people, spending years in a Russian prison camp would be a living nightmare. But one ex-prisoner has described how it can be a time of whisky, sushi and relative freedom – if you have enough money. Andrei, a former assistant to a Russian member of parliament who was sentenced to nine years in jail in 2006 for embezzlement, says that from day one of his time in the camps, money was the only language. in an interview with Russian newspaper Moskovsky Komsomolets, the former prisoner explains in detail how he paid his way through his years in jail, where he says that anything can be bought for the right price. 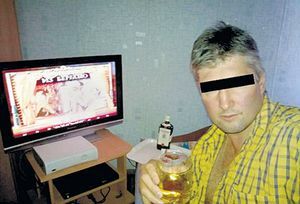 His allegations come just a month after photos were published of prisoners partying in a prison just outside Moscow.